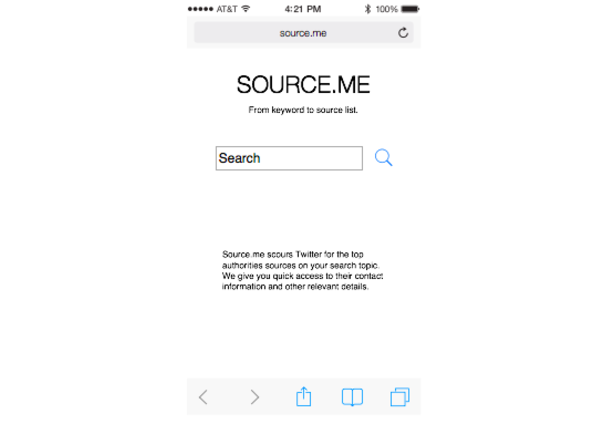 Source.me scours Twitter to uncover the top authorities on your search topic. We deliver you a card stack with the top five most influential people in that area. We also display relevant Google search results on those authorities in a simple and intuitive way. Source.Me is Adrienne Debigare, Tim De Chant, Russell Goldenberg, and Jessica Soberman. Comments for this submission are closed. View the software in tdechant's portfolio to continue the conversation.